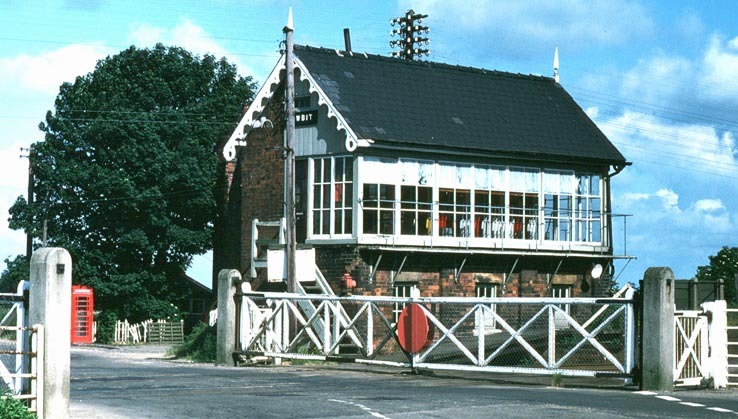 Cowbit Signal box and its level crossing gates on a very sunny day while the line was open. 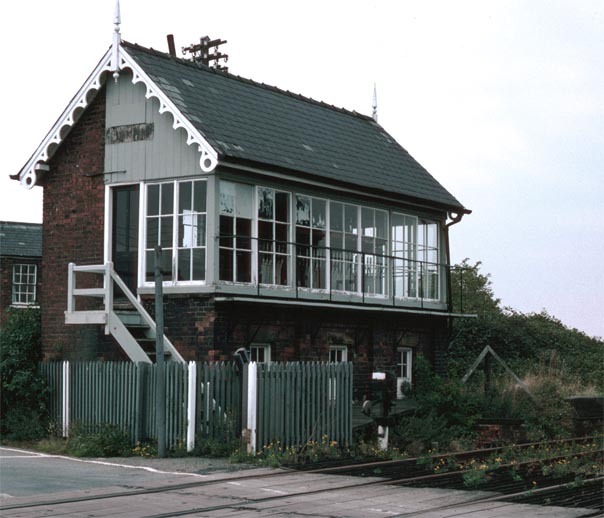 Cowbit Signal box after it closed but without its level crossing gates but still with some track. 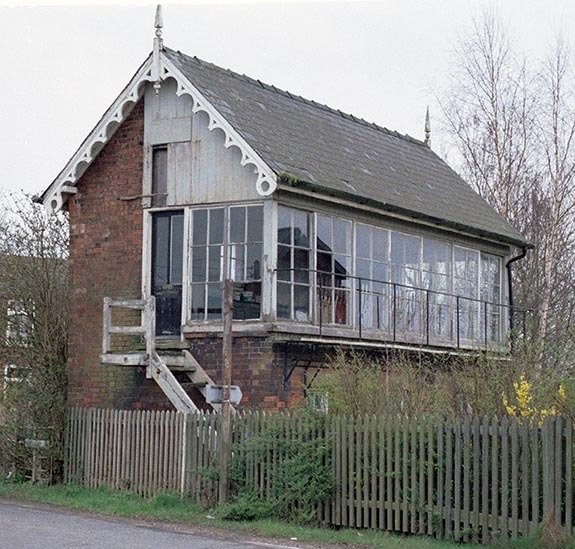 This photo was taken after Great Eastern and Great Norther Joint Line (GN&GEJR) to Spalding line closed and the crossing gates had been removed.